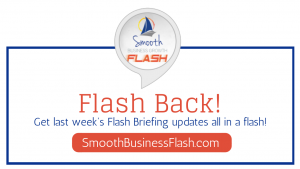 Did you miss my Flash Briefings on Podcasts for Smooth Business Growth Flash Update? Don’t worry they’re right here in this flash back to the last week! Have you ever heard of podcasts but weren’t sure what they were? To start at the beginning, think of a podcast as a very short audio presentation that you can listen to online or through a wide variety of digital players, like an MP3 player. 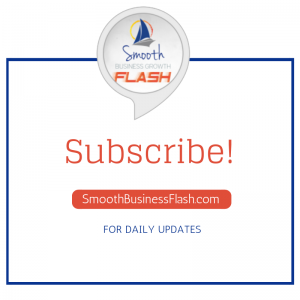 Podcasts are sent via RSS or Real Simple Syndication, which allows a podcast to be played on any device or any website subscribing to the RSS feed. Podcasts can be informative, funny, instructional, and even provide unique perspectives, just like my podcast does. It’s Just Different, or Is It? Does it take a special kind of person to actually have a podcast? Really, anyone can have a podcast, but for a business it is an excellent marketing tool. It allows you to speak directly to your customer or avatar. You can boost your authority status and show what you are an expert on and how you can serve them. Of course if you have guests on your show it’s a great way to not only connect with other entrepreneurs, but also learn something and share that insight and their experiences with others. A powerful strategy in content marketing. Are you still sitting on a fence about having your own podcast? 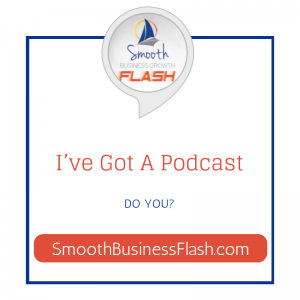 You have probably already determined more than a few of the benefits to a business or a professional in having a podcast. But here’s something else to consider. A podcast gives you the ability to speak directly to your target audience in a way that makes a personal connection. It gives you an opportunity to capture their attention, interest and curiosity about a topic that is related to your business, your interests, and your passions. If you’re sitting in your social media platforms, getting the same interactions with your posts, consider this about starting a podcast. Many people find that podcasts also allow them to reach individuals through sharing in ways they never imagined possible. Very popular podcasts will gain in listeners as well as in interaction through blogs or feedback. And remember, it gives you the ability to get your message out to the public in a way that complements your social media marketing, website, and traditional marketing programs.